A friend of a friend met a guy. 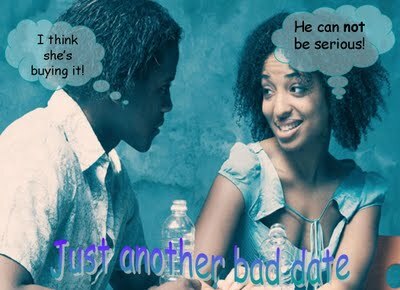 When he suggested they go on a date, she agreed and asked what he was thinking they could do. In all seriousness he said that they could take his dog for a walk in the park. She laughed thinking he was joking, but he said “Why not? It’s cheap, and me and my dog do everything together. You would love my dog.” Suffice to say, the date didn’t go ahead. Have you ever been on a terrible date? Was it anything like these horror stories that were submitted?